Mold in your home should never be ignored. It produces allergens that trigger allergic reactions in sensitive persons and can cause asthma attacks along with other respiratory problems. Its spores can fly in the air and spread from one room to many others. It’s virtually impossible to prevent indoor mold invasion since they’re everywhere and individually invisible to the naked eye. You can only minimize their presence, which starts by understanding what promotes and discourages their growth. 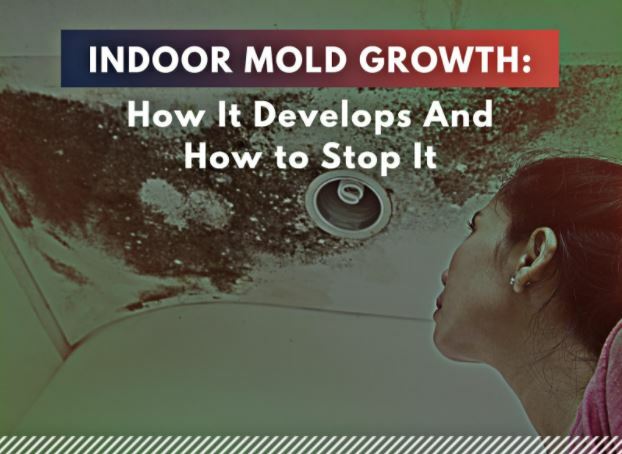 Mold growth happens in humid areas. In most cases, it occurs in areas with chronic water intrusion because mold needs moisture to spread. Although the roof isn’t the only cause of leakage around the home, a faulty one is definitely one of the prime suspects. Minor roof leaks would make it easier for the rain and snow melt to seep into your indoor spaces, creating an environment conducive to mold growth. Having a leak-free roofing system doesn’t make you safe from mold growth. Sometimes, colonies of mold could suddenly appear in the attic even without water infiltration through the roof. Poor attic ventilation allows moisture to accumulate, paving the way for molds to reproduce. Maintaining your roofing system religiously is one of the best ways to keep the presence of mold inside your home to a minimum. Clogged gutters can trap water and have ripple effects on your home – one of which is mold growth. Whether or not there are visible red flags in your home, you should schedule a thorough inspection with an experienced roofer. Only roofing professionals can properly identify causes for concern that would otherwise remain undiscovered by the untrained eye. Never procrastinate roof repairs and other routine maintenance tasks, like gutter cleaning. Investing in a reliable gutter protection system like Leaf Relief® can help reduce the chances of indoor mold growth. Want to make your home more resistant to mold? Contact Rogers Roofing today to talk about your needs in Chicago or anywhere near Northwest Indiana, like Schererville, IN.